Round Top, Texas, is home to our own DIY-lovin’ HGTV celebrities, the ladies over at Junk Gypsy, but Joanna Gaines also knows there are big reasons to love our small town. The Waco-based “Fixer Upper” star and co-owner of Magnolia Market has been telling people about our Round Top Antiques Show for years now. In a clip posted on HGTV’s website, Gaines — with husband and kiddos in tow — talks her twice-a-year to Round Top antiques week. Islands and unique furniture are among her favorite finds, she notes, but the clip shows her oohing over vintage clocks and other fun finds, too. “It’s like treasure hunting, and I just love the idea of it,” she says in the online footage. 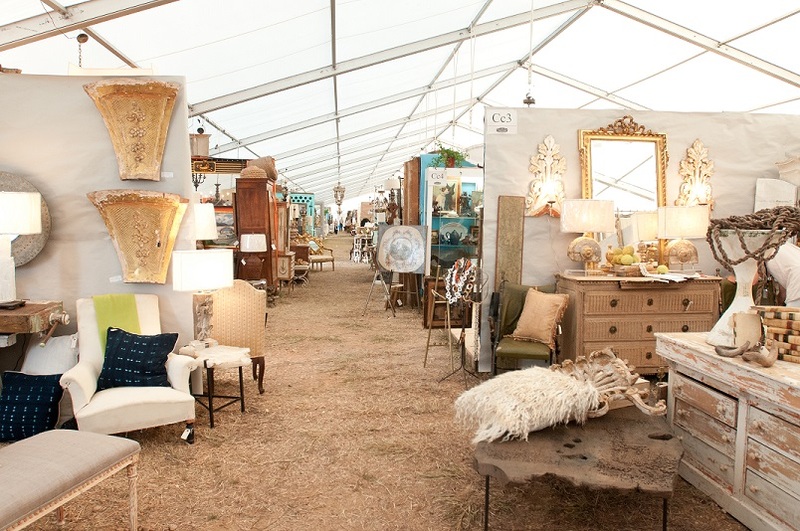 The Round Top Antiques Show is a family affair for the Gaineses, with everyone pitching in to scope out the best deals and rarest finds. Another HGTV web-exclusive clip shows even the couple’s little ones getting in on the action, trying out antique toys and sharing laughs with Dad. While Joanna wheels and deals with antiques show vendors, Chip takes on the heavy lifting and helps figure out how to haul their treasures back to Waco. Although he hasn’t yet made it to antiques week himself, even the youngest Gaines kid — Crew, born in late June 2018 — has his own ties to Round Top. Joanna revealed to House Beautiful that the stunning wall art in Crew’s nursery came from the Round Top Antiques Show. We love that the Gaines family has a place in their hearts for Round Top, and we look forward to having them back! We welcome everyone to venture in to the town that’s big time small for our upcoming fall show, which spans September 20 – October 8. We’ll see you then!